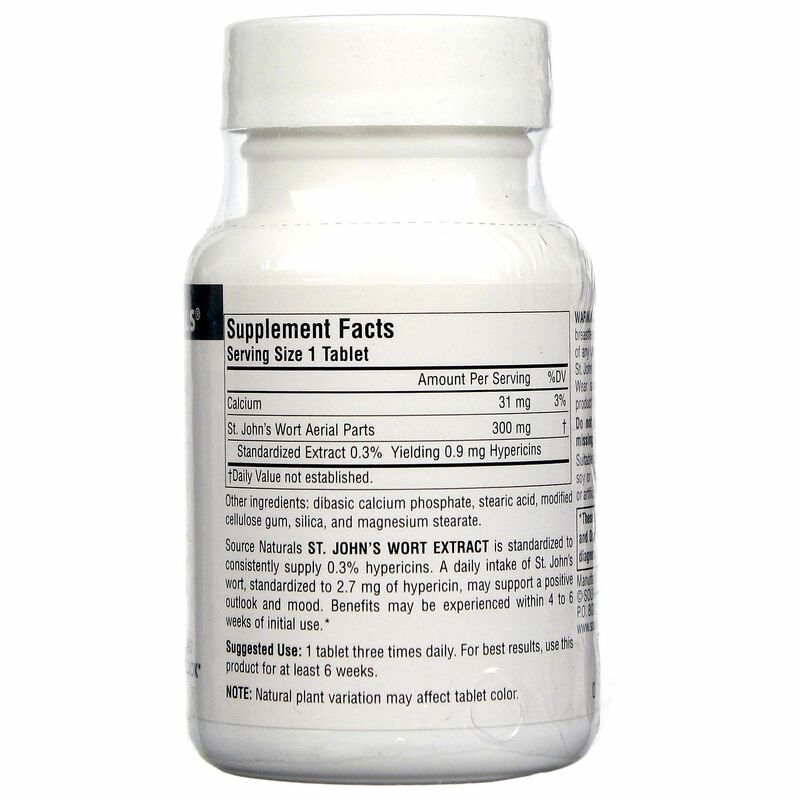 A daily intake of St. John's wort standardized to 2.7 mg of hypericin may support a positive outlook and mood. 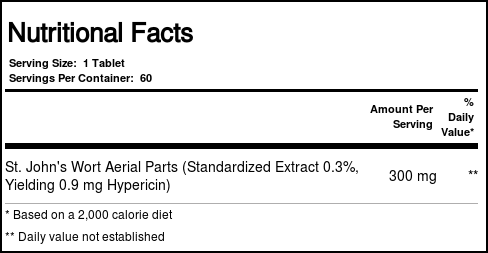 This product is standardized to consistently supply 0.3% hypercin. Benefits may be experienced within 4 to 6 weeks of initial use. 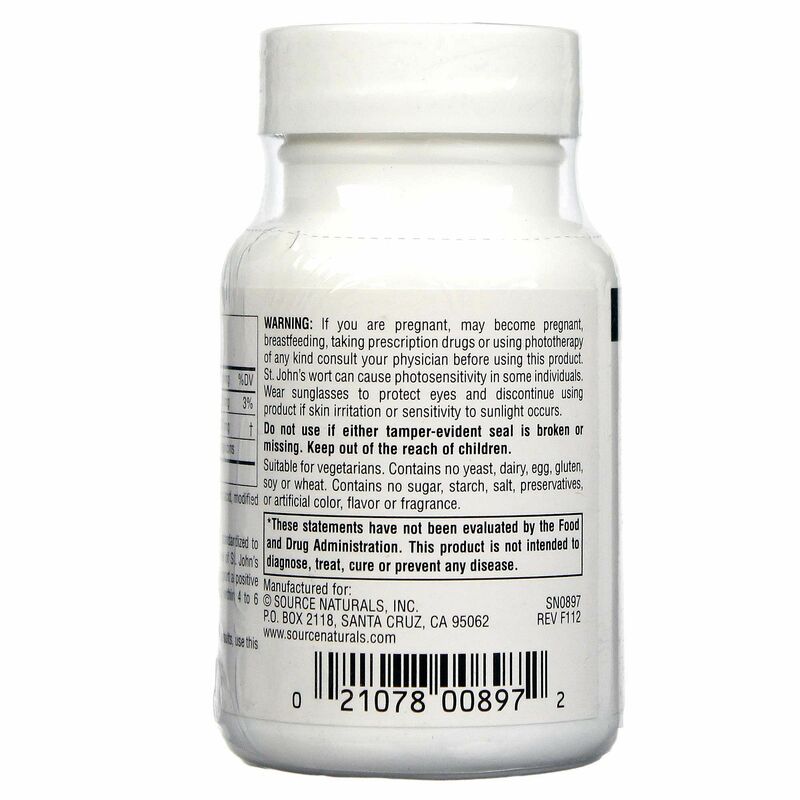 Warnings: If you are pregnant or breastfeeding, or taking any prescription drugs, consult your physician before using this product. 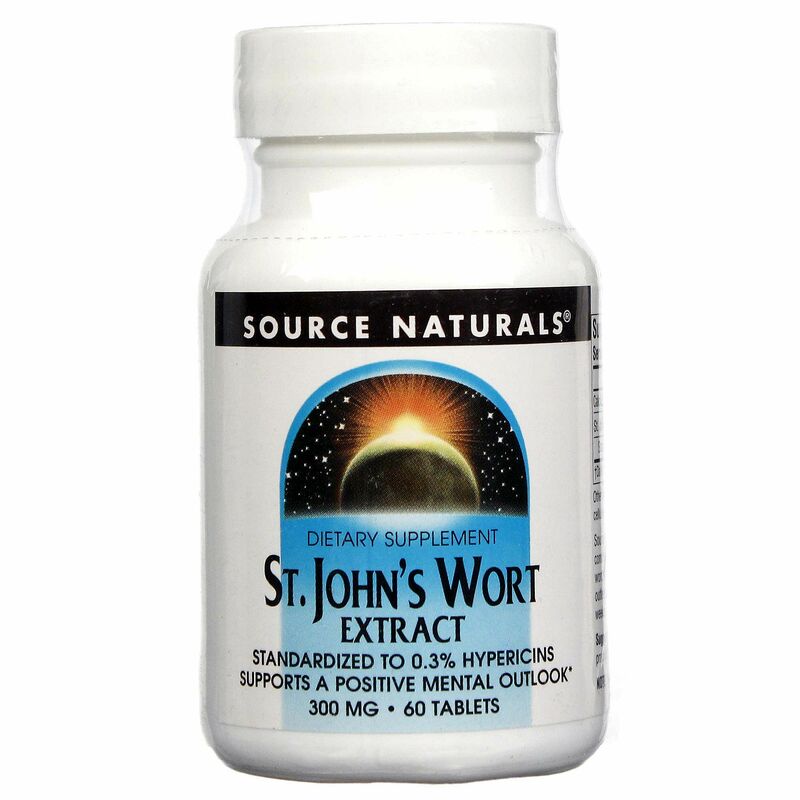 It has been reported that St. John's wort can affect the absorption of certain drugs. Recommended Use: 1 tablet 3 times daily. For best results, use this product for at least 6 weeks. 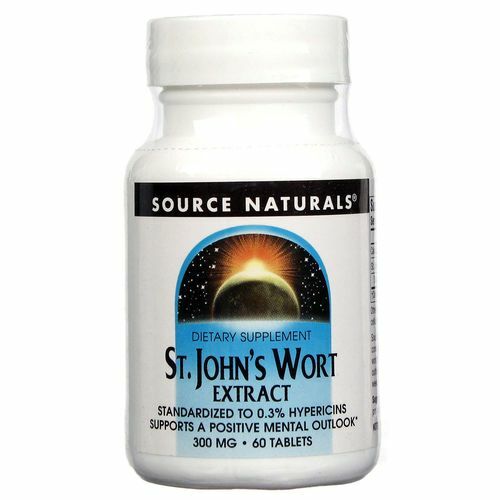 The customer reviews posted below are based on individual consumer experiences and may NOT necessarily represent what expected results will be from using or taking Source Naturals St. John's Wort - 300 mg - 60 Tablets. These results may not be typical and you should not necessarily expect to receive the same results. Actual results may vary. Good quality and value. It looks like an authentic product.